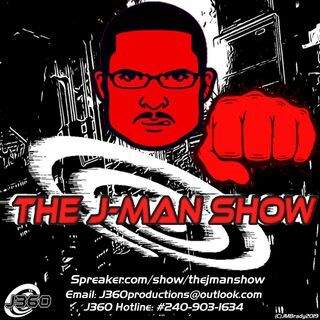 This week on The J-Man Show, J presents a new night and a new outlook on the upcoming movie boom of 2018. After explaining the new happenings around J360 Productions, J reveals his top 5 anticipated films in 2018 from now til Summer. He will also explain how the Video Game Movies could possibly be the next big trend for our entertainment sources in filmmaking along with stomping criticism and finding new ways for us to break the Entertainment drought. As a small tidbit he will even speak ... Maggiori informazioni about the latest trend in TV Reboots and why he doesn't care for the return of certain 90s-Early 2000 sitcoms coming back to the airwaves.